This post provides step-by-step instructions on changing out the alternator on the 5.4L engine in a 1997-2002 Ford F150, Expedition or Lincoln Navigator. This is not a difficult job but does involve removal of some intake ducting and pulling off the serpentine belt. Tools: 8, 10mm sockets, 1/2" breaker bar, a tensioner holding tool 15mm wide, dental pick and long thin straight-blade screwdriver. 2) Remove the throttle body cover with an 8mm socket on the passenger side and two 10mm sockets on the driver's side. 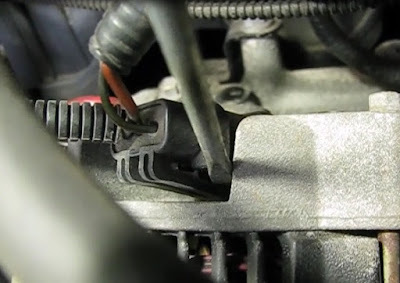 3) Move the air intake ducting out of the way to improve access to the serp belt and alternator. Loosen a band clamp at the throttle body cover and disconnect the clamp at the air filter housing. Then the assembly can be pulled off the throttle body and moved back out of the way. 4) Remove the serpentine belt off the alternator and set it below. A half inch breaker bar will fit into the opening on the tensioner. 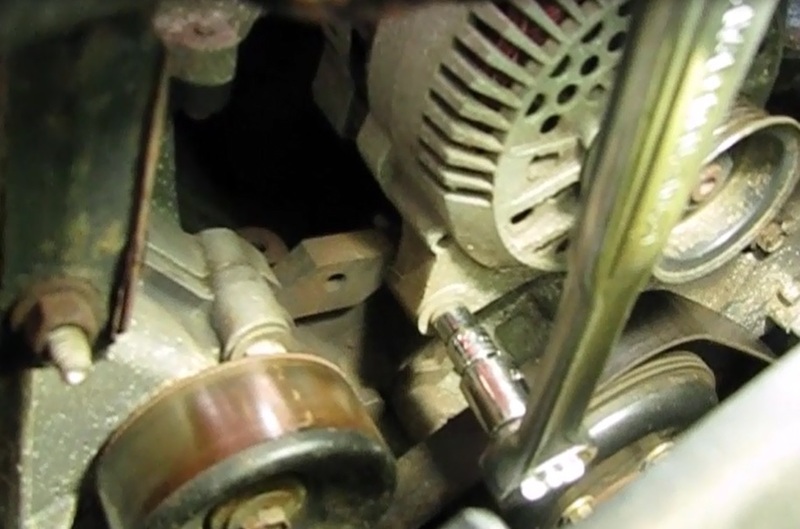 If desired a 15mm wide holding tool can be jammed into the gap created atop the tensioner while rotating it clockwise to relieve tension on the belt. This is an optional convenience. 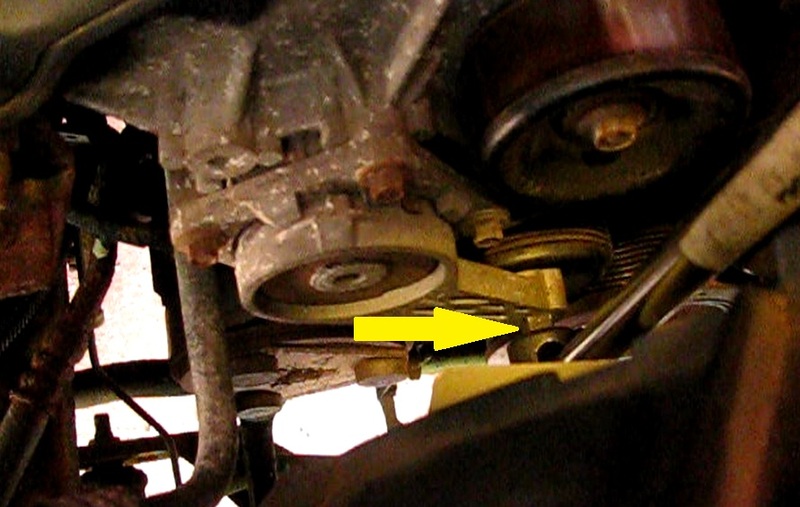 Set the belt just below the alternator while keeping it on the other pulleys unless replacing it. 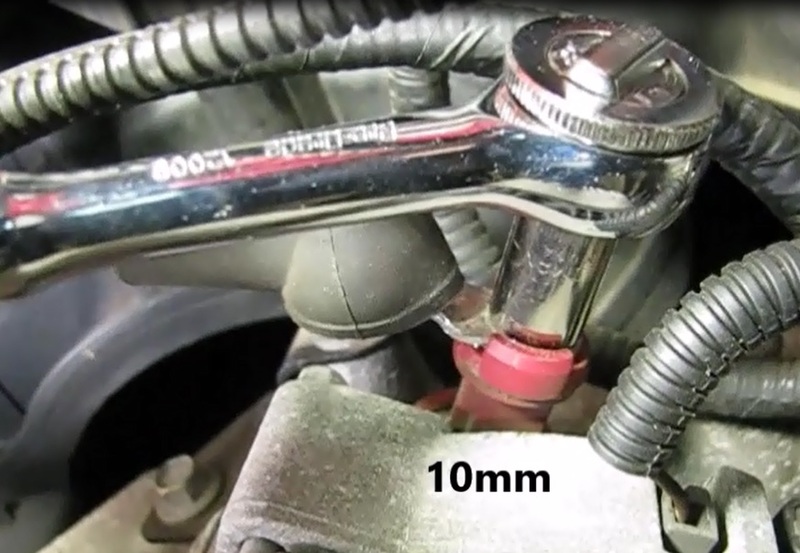 5) Disconnect the Battery plus (B+) wiring with a 10mm socket. 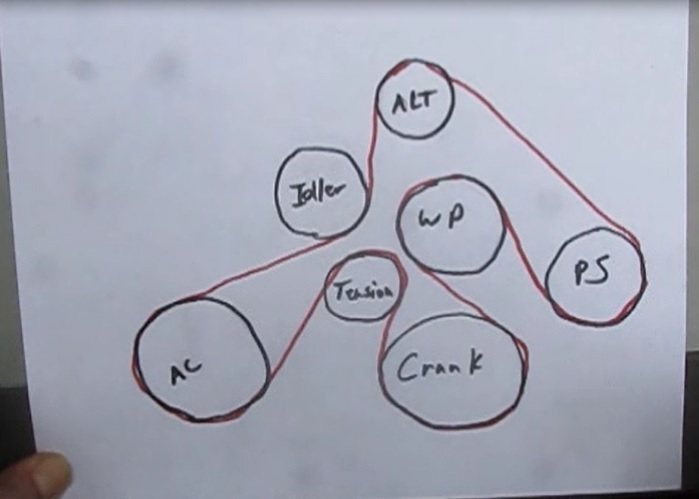 6) Unbolt the alternator . There are three 10mm bolts, two lower and one upper. Loosen up the lower two first and then the upper. 7) Remove the bolts and rotate the alternator forward so that the remaining wiring is accessible to remove. 8) Unwire the two remaining wires. They are held in by springy, stiff plastic catches that must be pried outward to remove the wiring. A dental pick and long thin screwdriver work well for this. 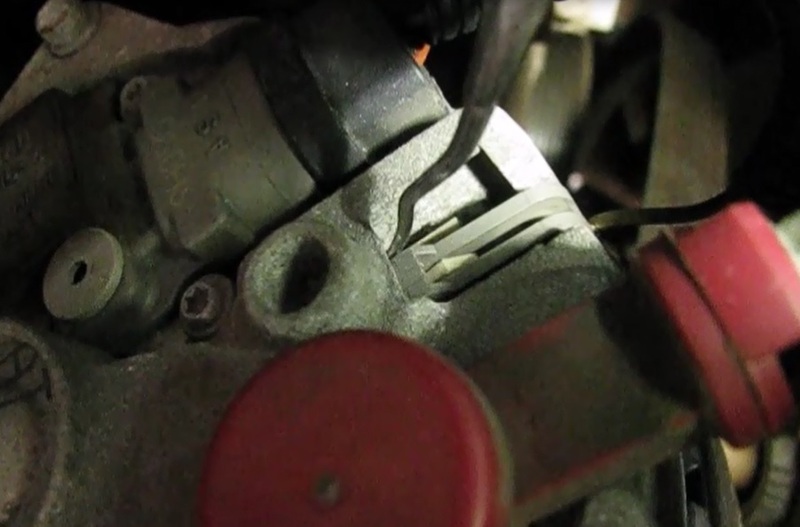 1) Put the replacement alternator into position to plug in the wiring. 2) Plug in the two wiring harnesses. 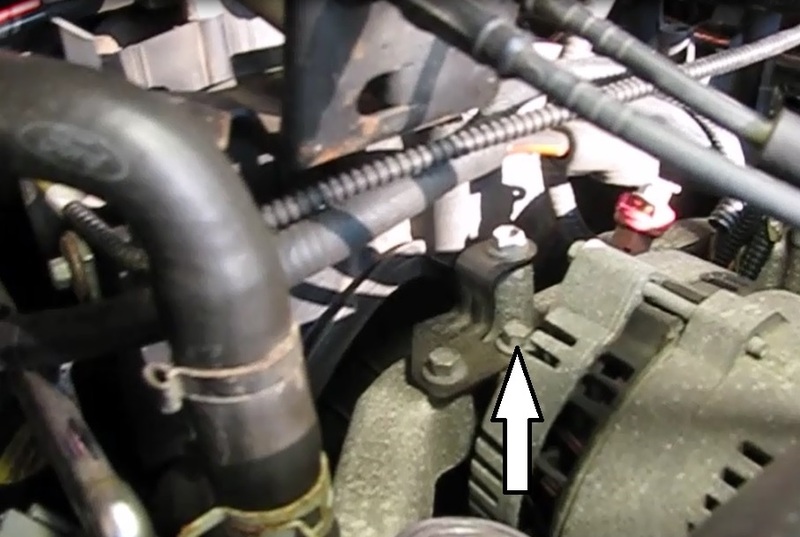 3) Mount the alternator with the three 10mm mounting bolts. The top bolt is the short one. Snug up good without over-torquing. 4) Remount the B+ 10mm nut. Be careful not to over-torque. Place the boot back over the connection. 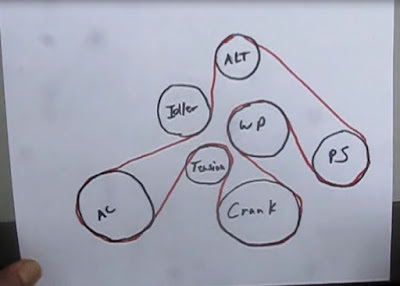 5) Install the serpentine belt back over the alternator. Remove the holding fixture if used. 6) Place the air intake assembly back in place and secure the clamps. 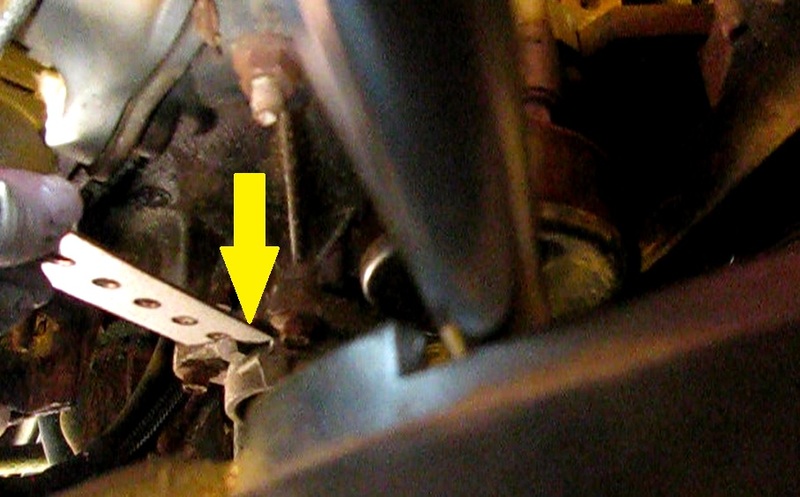 7) Install the throttle body cover. 9) Test run the truck. A typical good charging voltage is 14.5V.